Are you a nature lover who is seeking beautiful natural places in Sri Lanka but having a tight schedule to wander off to the hill country? Glad you’re here. I’m going to let you know all that is required to know about this serene fall called “Thudugala Ella”. 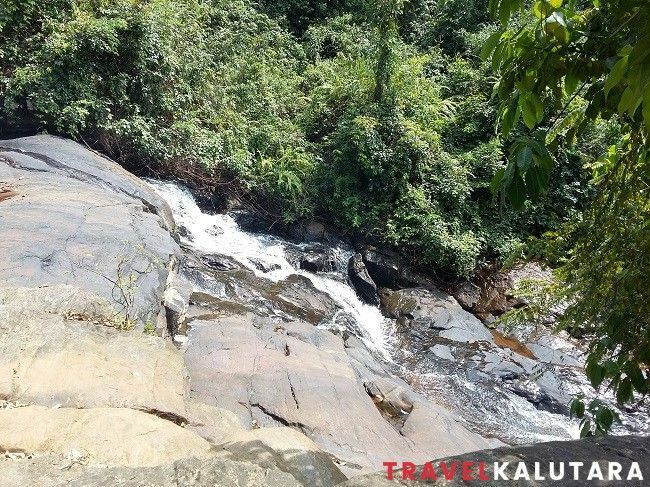 Thudugala Ella falls is the closest waterfall to the sea and Kalu River out of 26 waterfalls in Kalutara district. And It ranks 262 out of 382 identified waterfalls in Sri Lanka based on the height. Being so close to the west coast beach havens, the falls attract a decent number of local and foreign crowds to enjoy the tranquility of this cascading beauty. You can easily get to the falls from Colombo, Kalutara, Matugama, Horana and even from Bentota. I’ll show you how. If you have a day to spare while in Colombo, you can easily arrange a day trip to the falls and comeback with ample time to spare. 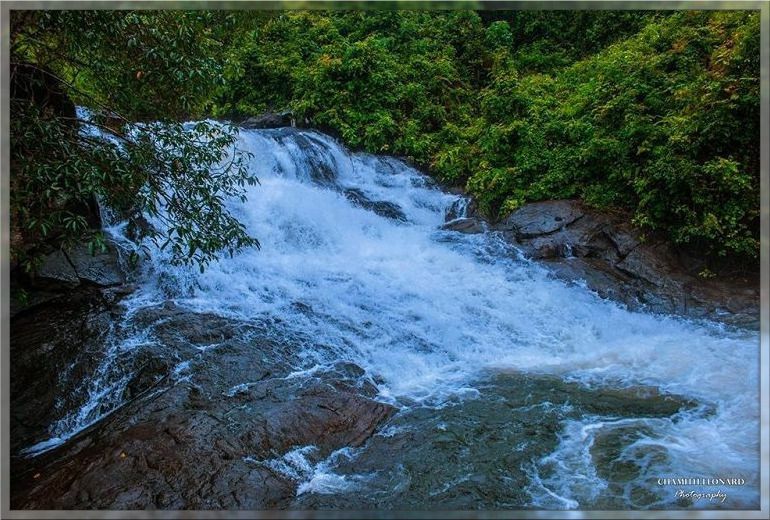 The falls located in Thudugala which belongs to Dodangoda divisional secretariat in the southern section of Kalutara district. Here’s how to get there. Please note that there are two entrances to the falls. Lower entrance and the upper one. I’d recommend using the lower entrance, using which you can quickly get to the falls. Directions mentioned below are for the same. It is easiest to take the southern expressway and make an exit off Dodangoda junction. 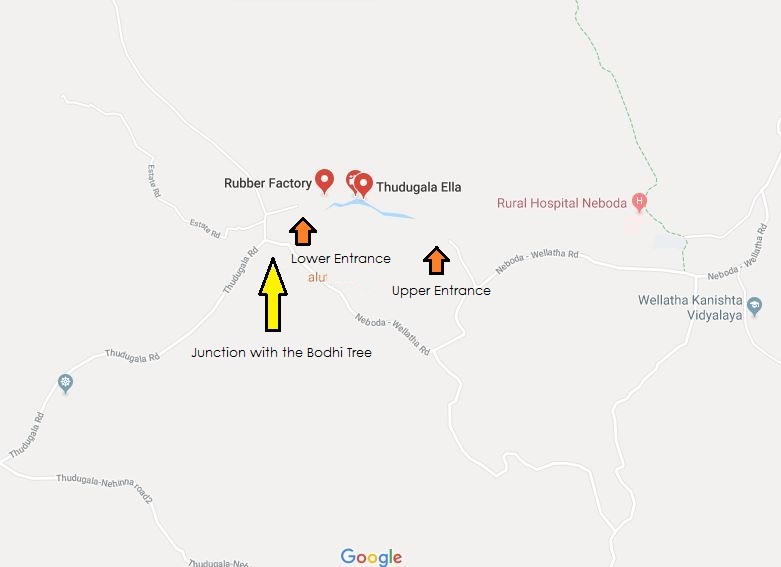 From there proceed to Nagoda direction in Matugama-Kalutara road, and make a right to Javigoda road, then take a left to Thudugala road and, proceed to the falls. If you prefer the Galle road, get to Kalutara and, follow the instruction below. 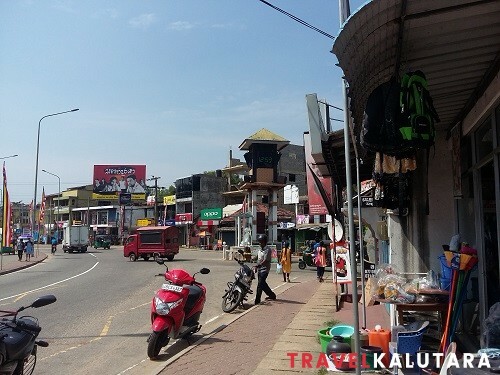 From the Kalutara town follow the Galle road southwards until you reach the Katukurunda junction. You should turn left from here and go along the road until you reach Nagoda junction. From Nagoda, turn right. 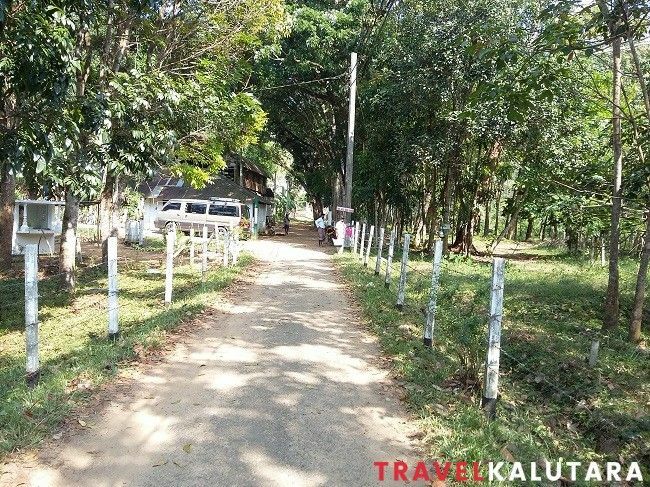 Now you’re in the Kalutara – Matugama road and after about 15 minutes you’ll reach the small town of Thudugala. (There is a clock tower in this town so it is easy to identify). From Thudugala junction turn left and go straight past scattered houses, rubber estates until you reach a junction with a small Bodhi tree (Fig tree) in the middle. 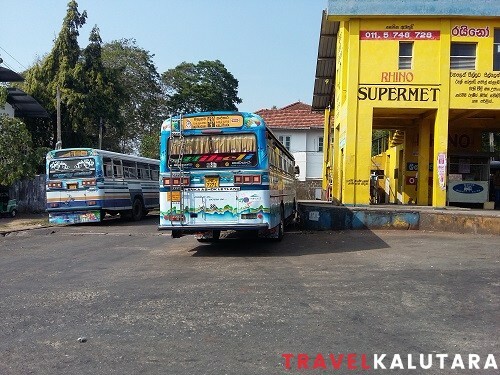 If you travel by bus, take the Matugama bus from the Kalutara main bus stand or at the Katukurunda junction (route No. 430/1) to the Thudugala junction. This will take about ½ hour depending the traffic conditions. Once in the junction take a tuk-tuk to the fall which will cost you about Rs 200. Make sure your driver turned left at the junction with the Bodhi tree, going straight past this junction will only take you to another entrance to the top of the fall whence you’ll have to walk all the way down to the falls and bathing pools. From the town go southwards towards in the Horana-Matugama road and go straight pass Ballapitiya to reach Anguruwatota. Passing this sleepy town by the Kalu river cross the bridge to reach Narthupana junction where you should turn right to reach Thebuwana. Go past it about 01 Km to reach Elegoda junction and turn right onto Thudugala road. About traveling 02 Km in this road will get you to the small road to the left (just before a bridge) which is the road to the falls. there is an alternative road which is a little bit shorter. 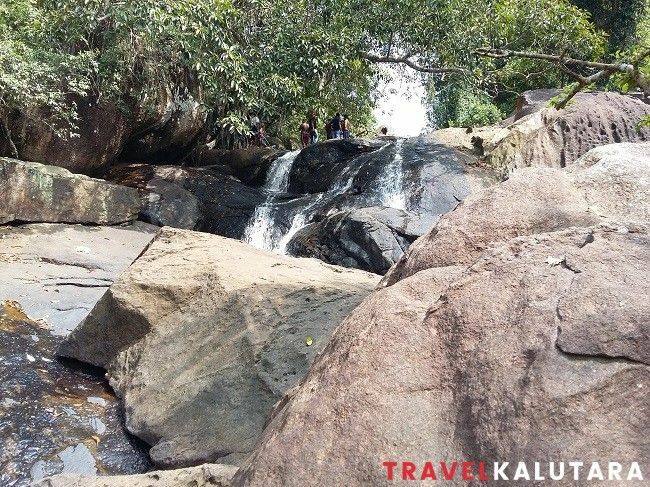 Thudugala fall is closer to Matugama than to Kalutara. There are two roads to take and there isn’t much difference in distance between these two. Taking either of them will take you to the falls within ½ hr time. The shortest route from Bentota is to take the Galle road upwards until you reach Payagala, there is a small junction called Daluwatta. Turn right from here and go straight until you reach Rendapala junction on Kalutara-Matugama Road. Proceed to the right from there to reach Thudugala junction and to the Thudugala road. Turning left from the junction with a little Bodhi tree (Fig tree) you’ll find the bridge that is built over the stream that feeds Thudugala falls. 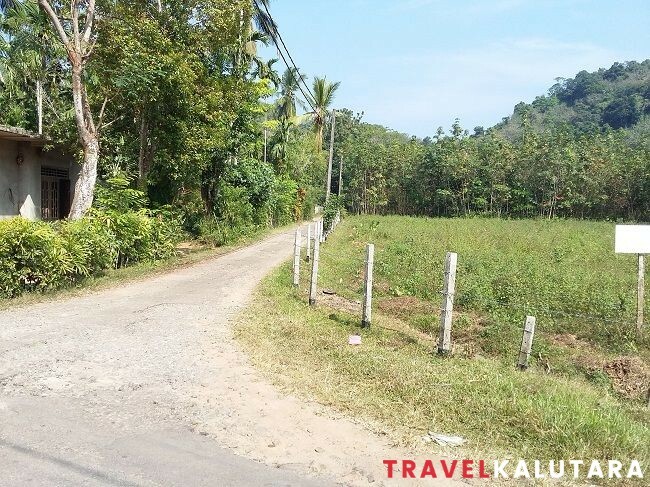 Traveling about 10 meters on this road will get you to a small road to the right with young rubber trees are in the vicinity. This small road leads to the footpath that in turn leads to the fall directly. Parking is available but in a very limited capacity at the small shop which you’ll find going about halfway on the road. Cars and Vans can be traveled on this road but nothing larger. Park the vehicle and proceed ahead of the road until you reach a somber-looking old building. There is a road to the left and a footpath to the right. 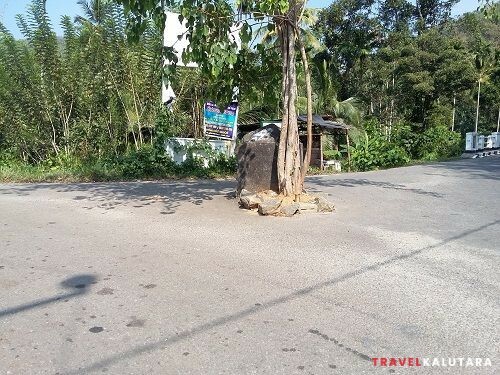 Take the footpath to the right. 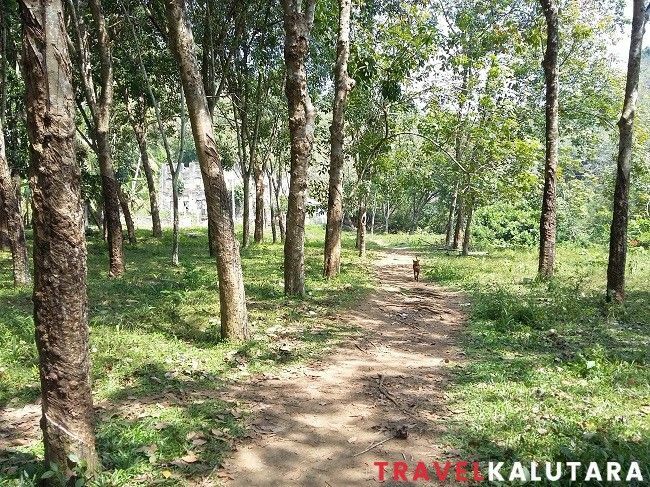 This footpath lies in among the rubber trees and brings such a calm feeling to the people who trod along upon it. 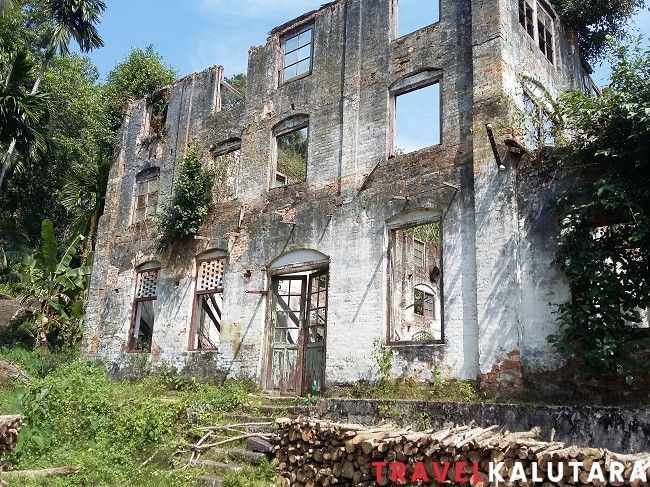 From afar you’ll observe another dilapidated building which was used to be a tea factory in the golden days of Thudugala estate. 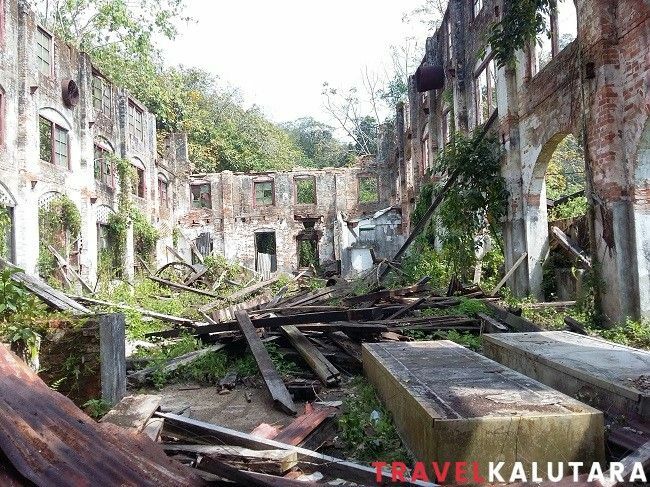 In those days both of these building had been used to process tea. Turn left from the footpath to get closer to the building. There is a fence but you could jump in. You’ll notice there is a recently constructed area as well to the farther side. So It is not entirely abandoned but envelopes the entire area with a gloomy feeling. Go further ahead of the footpath and there’s a fork in the road, turning left will get you to the base pool of the first fall. 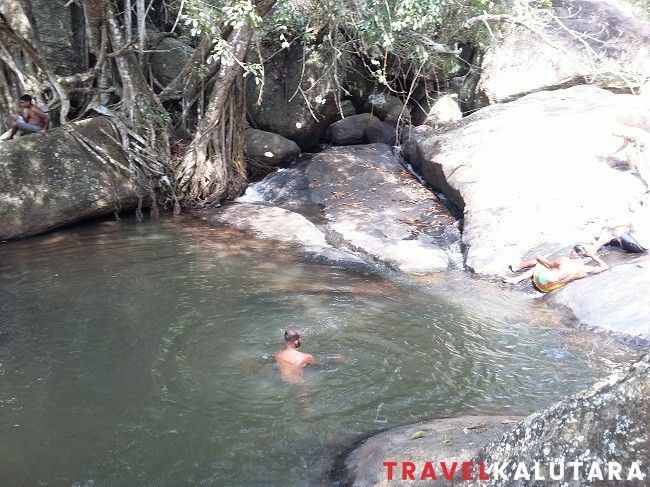 The path to the right will only lead you to one of the many bathing pools Thudugala Ella falls has to offer. 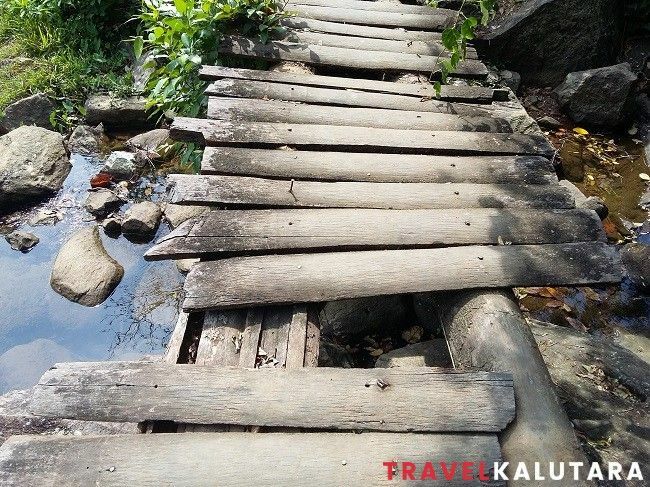 This wooden plank bridge is not in a good condition. Tread carefully. The lower floor of the falls. The footpath leads to the top of it. The upper floor of the falls. Too small due to lack of rain. The top pool of the falls, getting here may be tricky but well worth it. It is better to visit during the rainy season (May-September) to witness the falls in her full capacity. But be extra careful of slippery stones. Falls can be overcrowded on weekends and holidays hence, visit on weekdays if possible. Enter the falls from the Thudugala road as instructed above. There is only one small store in the vicinity which serves a limited number of local food items, hence bring the necessities from Thudugala town to be on the safe side. Please be conscious of the environment and DO NOT leave non-degradable items such as plastic bottles, polythene behind. 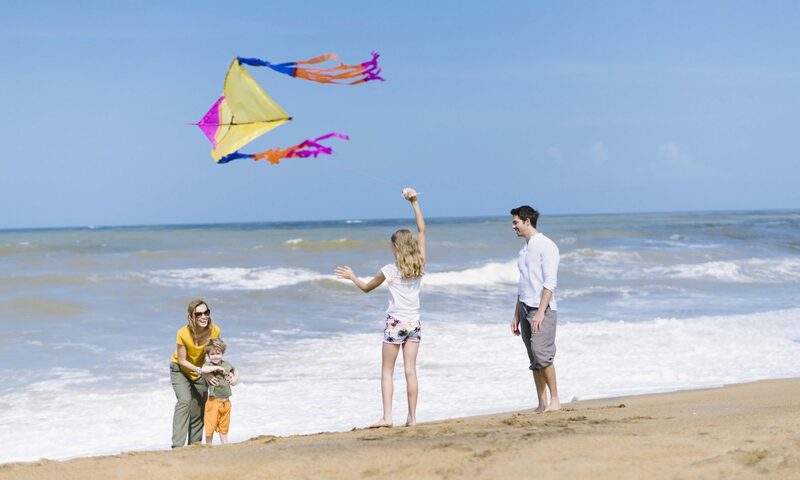 Enjoy this nature’s gift on your holiday to Kalutara or Sri Lanka. Let us know your experience. Feel free to leave a comment.